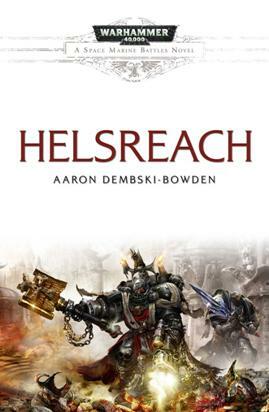 So, I’ve just finished reading Aaron Dembski-Bowden’s Helsreach. I knew, from about the first fifty pages, that this was going to enter a relatively short list I keep in my head entitled ‘40K novels that get war’. Let me clarify. This isn’t a list of my favourite Black Library novels. Those three novels gave a sense, greater than other BL novels (excluding the Heresy, which is going for a different feel altogether), of the true scope, scale, and nature of warfare in the grim darkness of the far future. What a strange thing to say, you might wonder. 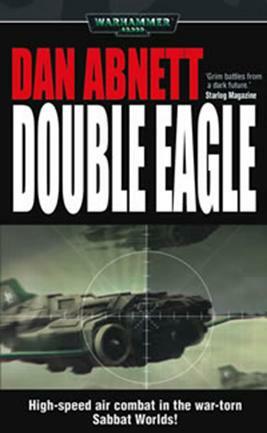 After all, aren’t all BL novels an examination of war in some way or form? (I would actually say no, but they are all informed by the setting of a galaxy consumed by total war, so close enough). So let’s say yes, they are, but some cleave closer to the feeling than others. I should point out, before we go any further, that I have no experience of war or combat in any form. I’ve studied war, but I’m not a soldier or a pilot or a sailor. I couldn’t possibly tell you whether the sense of dread terror and manic bravery the BL novels shoot for is anything approaching the reality of actually being under fire. But let us assume that it is. The three books mentioned up top go beyond simply being a depiction of brutal combat and unimaginable heroics, although they do have that in spades. What they have is a true sense of scale. A grasp of what it means to do battle with the Emperor’s enemies, fighting not for glory or honour but simply for the survival of the species, against all that a hostile galaxy can throw. An understanding of what that undertaking entails. Why is that? The obvious similarities are pretty clear, though somewhat meaningless. All three are centred on defensive engagements, but they are hardly unique in this regard. All three are focussed on the actions of the Imperial Guard (although Helsreach is obviously from the perspective of the Astartes), but again, hardly unique (personally I prefer IG tales to those centred on Space Marines, but I realise I am in the statistical minority). The important similarity is the appreciation, evident on every page, is that the events that are being relayed in that moment are not all that is happening. The battles Gaunt and the Ghosts fight are only part of the struggle to save Vervunhive. The brutal dogfights over Enothis follow on from the flight of the armoured column in the desert, which follow on from the daily struggle of the civilians caught up in a war galactically bigger than themselves. The Siege of Helsreach is only one of a dozen sieges ravaging Armageddon, each as horrific and each as hard-fought, not to mention the orbital war. These three books give the sense that if you were to grasp the narrative window we are seeing through at any time, and drop it down a metre, a kilometre, a world away, we would see different but still compelling stories playing out. 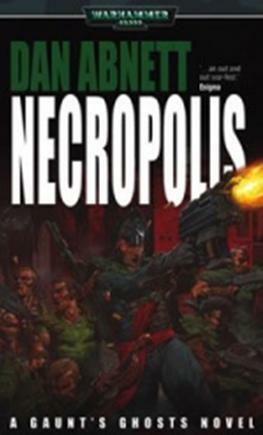 These books bring the Warhammer 40,000 universe to life as a living, breathing, immeasurably complex organism, and we are simply glimpsing a fraction of the heroism and sacrifice and bloody necessity that is required to keep it going. The quote that heads this post is a truism, but that is because it is a truth. Any of us can sit down and write a compelling, engaging tale of battle among the stars and amidst the mud and blood. And they will be perfectly serviceable, interesting, entertaining stories – I do not mean to denigrate the work of BL writers not mentioned; I read 40K fiction because it is of such high quality and entertains me endlessly. But the best stories can go beyond the battle, and look at the war. *I am certain I do a disservice to many other books. Storm of Iron should be on the list. Execution Hour. AD-B’s Night Lords trilogy. Matthew Farrer’s Enforcer trilogy; if you want a glimpse at the 40K universe away from the battlefield, you can do far worse than give these a look. I know I’m forgetting some. Please jog my memory in the Comments below; I’d love to see if I am saying what others are thinking. Which BL books really capture the feel of the universe(s) for you?